What is the coverage of sprayfoam kits? What is the coverage of Roof Sealer Acrylic Paint Acrylic? Allow at least 1kg per square metre. Do you have an effective damp proofing solution for in-situ concrete floors? Yes we have a product named Epoxy Floor Seal Paint. What is the coverage of a 5kg Tin? Coverage is 6-8 metres square per kg. I want to seal an old concrete floor to stop damp coming from below it, do you have a product for this purpose? Yes we have a product named Epoxy Floor Seal Paint which would be highly suited to this particular job. 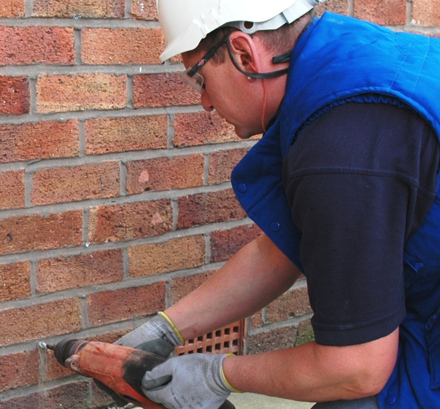 I have damp appearing on my internal walls; it is not rising damp but appears to coming through my external brickwork, do you have a product to help prevent this? Yes we have Masonry Water Repellent and a Dry Seal Water Repellent Cream; both products are easily applied using a brush or a roller. Does the DPC cream work on a solid stone wall? Are all the items I need in the DPC kit to carry out the work? Yes but you will need to provide your own SDS drill with a depth gauge. If I need more cream than what is in a kit will I is able to order more cream separately? Yes, Twistfix sell the Damp Proof Cream seperately. Will the 380 DPC cartridges fit in a standard skeleton gun? Yes they will fit in a standard skeleton gun. How many anodes can I use off one power unit? 100 anodes are permissible off one power unit. Could you please inform me if the technoseal damp proof paint can be emulsioned once dry? It can be coated within five days of applying (whilst technoseal still technically has a tacky adherent quality), however brush marks may show through the emulsion. What is the coverage rate of damp proof paint? Damp proof paint should be applied at a thickness of 0.6mm to provide a vapour barrier. This should be applied in two coats. A 1mm thick layer corresponds to 1ltr = 1m2.